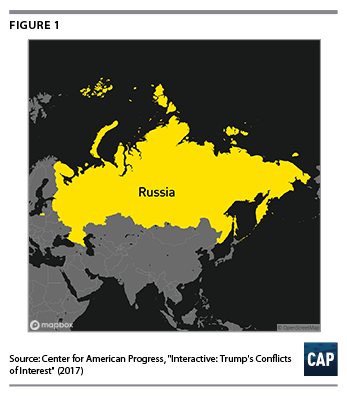 While Trump’s attempts to develop projects in Russia did not pan out, Russians did become an important wellspring for his financial backing. 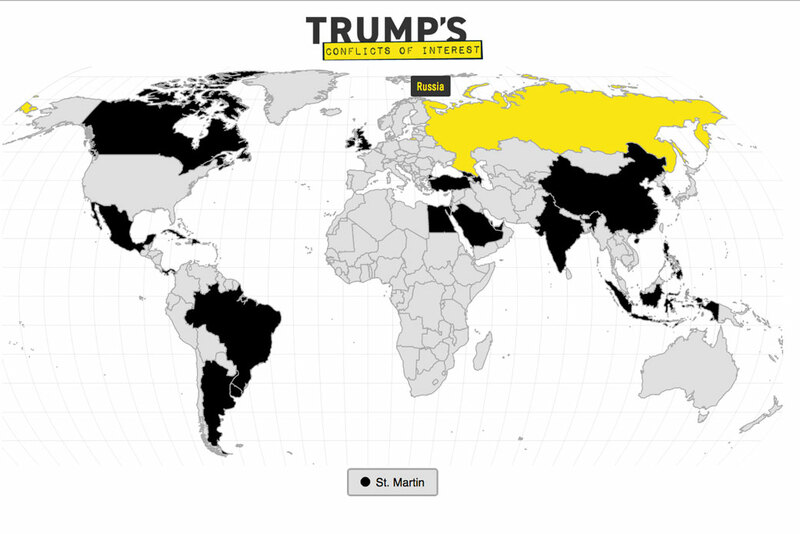 In essence, Trump was not able to invest in Russia; rather, dark Russian money began investing in him. Trump has tried to deflect criticism of his deep Russian ties, once tweeting, “I have ZERO investments in Russia.” But Trump has steadfastly refused to release his taxes or other verifiable information that would detail the level of Russian-linked investment in him and his companies. It is also worth noting that the Financial Crimes Enforcement Network (FinCEN) imposed a $10 million civil money penalty against Trump Taj Mahal Casino Resort for willful and repeated violations of the Bank Secrecy Act. It was the largest penalty FinCEN has ever imposed. It remains unclear if any of these improperly tracked transactions at the casino were linked to Russians or other Putin associates or confidantes. Historian Francis Fukuyama contemplated the reasons behind Trump never having “uttered a critical word about Putin,” asserting that Putin had hidden leverage “in the form of debts to Russian sources that keep his business empire afloat.” And, certainly, Trump’s scramble for Russian money has entangled him with a web of murky figures and questionable associations, all of which seem to invariably link back to Putin and the Kremlin. Trump’s presidency has been marred from the start by Russia scandals that underscore how profound his conflicts have become. Michael Flynn was dismissed as national security adviser after it came out that he had given what he described as “incomplete information” to the FBI and Vice President Mike Pence about his contacts and conversations with the Russian ambassador to the United States. Flynn had also failed to disclose to the U.S. Army, as required by law, and on his financial disclosure forms payments he received from the Russian propaganda outlet RT, formerly Russia Today. Flynn appears to be the focus of an ongoing probe by the U.S. Department of Justice for his Russia and other foreign ties. The retired general has invoked the Fifth Amendment in an attempt to avoid appearing under oath before Congress to defend his actions. Trump’s former campaign manager Paul Manafort also appears to be the subject of multiple investigations for his links to Russia during the campaign, as well as for his highly unusual accounting practices and links to bank accounts in locations such as Cyprus, which has long been a favorite for Russian money laundering operations. Manafort has denied wrongdoing in these instances. 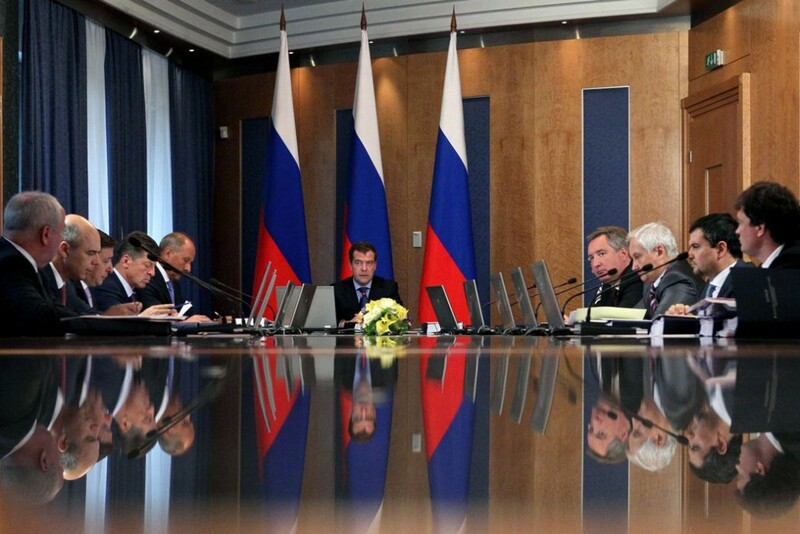 During the transition, Jared Kushner, the president’s son-in-law and White House senior adviser, met with Sergey N. Gorkov, chief of Vnesheconombank (VEB), in what the White House described as part of routine diplomatic encounters. Gorkov’s bank has been used as a frequent cover for Russian intelligence service operatives, including one who actively tried to recruit Carter Page, one of Trump’s very first foreign policy advisers during the campaign. Page has given conflicting comments on his alleged Russia links. Gorkov indicated that he met with Kushner in Kushner’s capacity as the chief executive of Kushner Companies, rather than as a transition official. The White House has insisted that this was not the case. However, it is striking that the line between Kushner’s official duties and his business interests was so poorly defined that two participants in the same meeting couldn’t even agree under what capacity Kushner was taking part in these discussions. In May, Trump shocked the nation when he summarily dismissed FBI Director James Comey. When pressed in an interview as to why he had made such a precipitous move, Trump said it was because of “this Russia thing”—a move that a wide variety of legal scholars suggest amounts to a very clear, and perhaps impeachable, case of obstruction of justice. In an effort to quiet the firestorm, Trump had his law firm issue a certified letter maintaining that, with a few exceptions, Trump’s tax returns—which he has steadfastly refused to release to the public—showed no income of any type from Russian sources. The letter went on to note that a Russian billionaire paid Trump $95 million for a Florida property, more than twice what Trump had paid for it several years previously. In addition, a wide array of experts quickly pointed out how full of holes these claims are in reality. The lawyers’ letter was very carefully worded, and it seems obvious that money from Russia could have easily flowed to Trump from banks in third countries or through arrangements with shell companies. In short, nothing Trump has said or done to date has allowed the public enough information to accurately judge the full extent of his financial ties with Russia, and there is likely a good reason that Trump has tried to keep them secret. Trump’s conflicts with Russia are profound and remain at the center of a sprawling FBI and intelligence community investigation into Russian interference in the U.S. political system. Time and time again on issues such as Syria and Ukraine, Trump has adopted a policy line that is almost identical to that of Putin. Trump also leaked highly classified information to the Russian foreign minister and ambassador to Washington in a White House meeting, potentially badly damaging the U.S. intelligence relationship with Israel, which provided the intelligence in the first place. As the Daily Beast observed, “We don’t know—yet—why Trump feels the need to cower before Russia. We do know that he’s sold out our allies to benefit an adversary.” Trump’s Russia conflicts are at the heart of a cancer that may well consume his presidency. John Norris is a senior fellow at the Center for American Progress. Carolyn Kenney is a policy analyst with the National Security and International Policy team at the Center.